Arriving in Vancouver in May 2016! 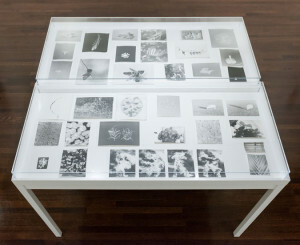 Jochen Lempert, ‘Field Guide’, 2013. Courtesy Cincinnati Art Museum. Photograph: Rob Deslongchamps. Celebrated German photographer Jochen Lempert will be coming to Vancouver in May to attend the grand opening reception of his exhibit held on Friday May 6th, 7-9pm all welcome. Hamburg Native Jochen Lempert will be staying in Vancouver for at least 3 days to meet Art lovers from the German and Canadian Community. The Contemporary Art Gallery will be presenting his first major museum exhibition in Canada open to the public from May 7th to July 17th, 2016. Trained as a biologist, Lempert photographs plants, animals and other natural phenomena with both scientific acumen and a poetic appreciation of natural beauty. His approach is scientific as well as humorous. Always working in black and white, his work engages with a diverse range of subjects and genres, ranging from everyday views to abstracted details. Photographic series alternate with single pictures, highly contrasted images with almost blank papers, through which multiple links and subtle associations are woven. The exhibition focuses on a range of work produced over the last five years that has direct resonance with photographic practice in Vancouver examining the indexical nature of photography itself, notions of time and connections to the history of image making, mutability, classification and materiality. The subject of interest of Lempert’s work—animal life—is complemented by his exploration of the properties and materiality of the photographic image, as revealed in its developing and printing processes. While seemingly serendipitous, Lempert nevertheless pursues a very clear goal and aesthetic. His is a very careful, subtle world. Lempert’s large compositions of black-and-white photographs demand close inspection. Ranging from medium-sized to small and tiny prints, the exhibition comprises his now classic repertoire of flora and fauna giving visitors the feeling of being at an amateur’s show, where the standards of high-end presentation have been disregarded. But upon closer examination paradoxical connections manage to unsettle what at first glance seemed unproblematic. The first thing one might notice about his photographs is their physical presence. 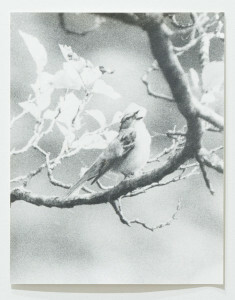 Unlike on-screen JPEGs and the smooth color gradations of inkjet prints, Lempert always works in black-and-white and prints, his photographs using analogue techniques. He often manipulates them as he processes them in his darkroom and a picture may be printed in four different sizes before the artist settles on which works best. After a rigorous editing process, Lempert hangs the finished artworks in a gallery un-matted and unframed. They are taped to the gallery wall in such a way that their rippling edges sometimes lift off its surface. The paper he uses has a relatively loose weave, giving each picture a softer effect; even his most sharply focused images seem, upon first glance, like charcoal drawings or finely detailed pencil sketches. In a world of color prints the size of billboards, the material properties of Lempert’s artworks reveal a sensibility rooted in timeless concerns. Credit: Jochen Lempert, Belladonna, 2013, gelatin silver prints. Courtesy of the artist and Projecte SD, Barcelona. Here, it is the photographer’s behavior in front of a myriad of objects—including those from both natural and urban environments—which is the subject of this exhibition. The transformative, scientific qualities of animals and flowers are celebrated ironically—it’s Darwinism at its best. The diptych Belladonna (2013) pairs a photograph of the plant, otherwise known as deadly nightshade, and a squirrel. 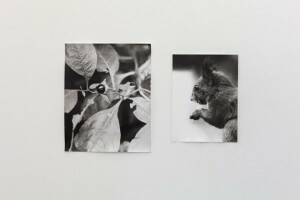 A central dark sphere — the plant’s berry, the squirrel’s eye — links the two photographs formally, and many artists would be content with the juxtaposition. But for Lempert, this is also visual proof of an evolutionary concept. The plant’s berry gleams to attract the fruit-eating animals that can disperse its seeds; each species sees a face in the fruit according to its particular capabilities. This juxtaposition asks us to imagine what the squirrel sees; the intermingling of scientific and artistic thinking creates a rich set of associations. 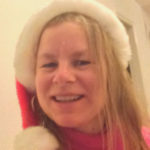 While individual images might suggest a certain degree of kinship, in fact they have nothing to do with each other, so the result is totally speculative, like an evolutionary theory gone astray. Lempert’s photographic series depart from similarities based on form; his morphological inventions open up different possibilities. Either he is acting as a street photographer whose silver gelatin prints have been unsuccessfully colonized by the themes of the former biologist, or else he is decidedly dissolving categories like “natural” and “artificial” that have been long set apart. Our ability to observe what surrounds us is remarkable: we peer deeply into outer space and scrutinize sub-atomic particles. These powers are enhanced by technologies that grow more potent with each passing year. Lempert, working with nothing more than a 35-mm camera, often tries to photograph phenomena that elude our visual grasp — great spans of time, the complexity of interacting natural systems, invisible biological processes. Be it the patterns created by raindrops splashing on the surface of a body of water or pictures of wind and photosynthesis, Lempert engages concepts we understand but can only see through indirect measures, testing the camera’s vision against the natural world, encouraging us to dwell upon how the natural world trumps human perception and understanding. A sense of wonder at the world’s mysteries rushes into the gap between the artist’s grand intentions and the humble means by which he expresses them. Organized by the Contemporary Art Gallery in collaboration with the Cincinnati Art Museum. Special thanks go to Brian Sholis, Curator of Photography.